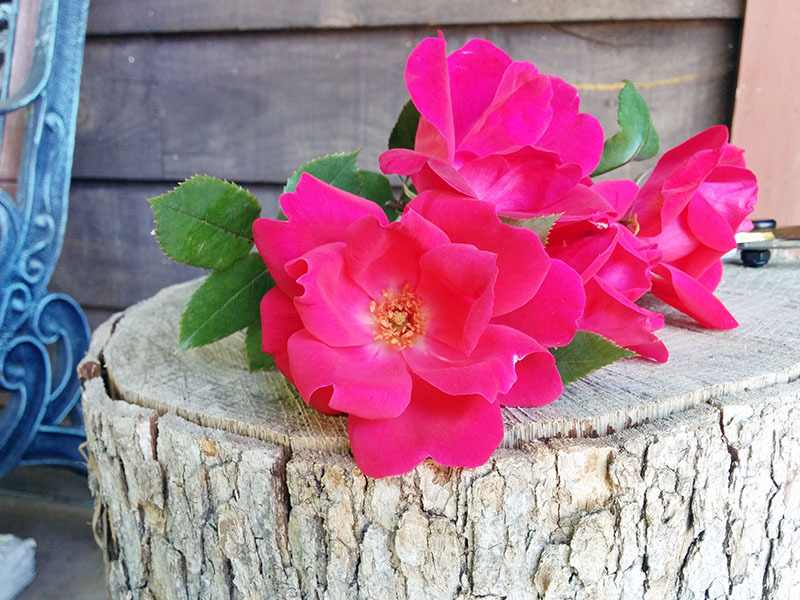 I absolutely love roses! They are so beautiful and smell so lovely! 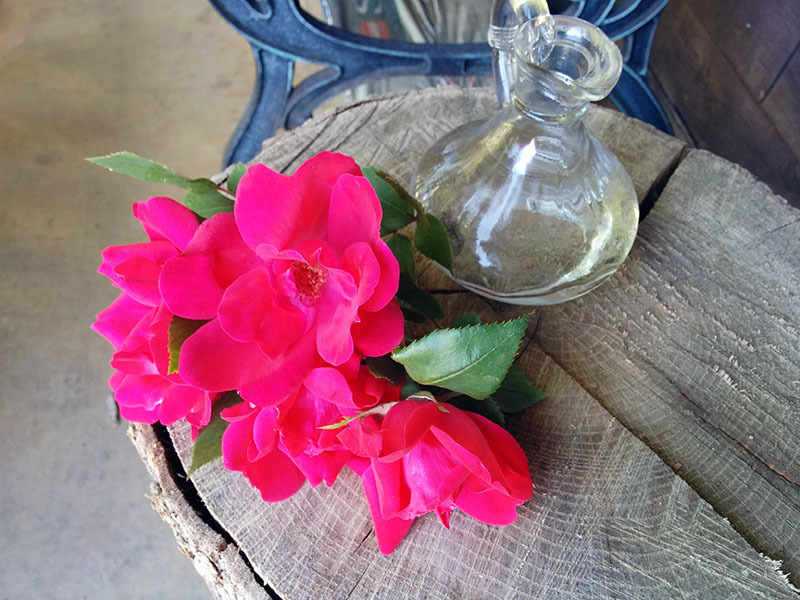 A few summers back I decided to make my own rose water and now every spring & summer I look forward to the bright, blooming roses. 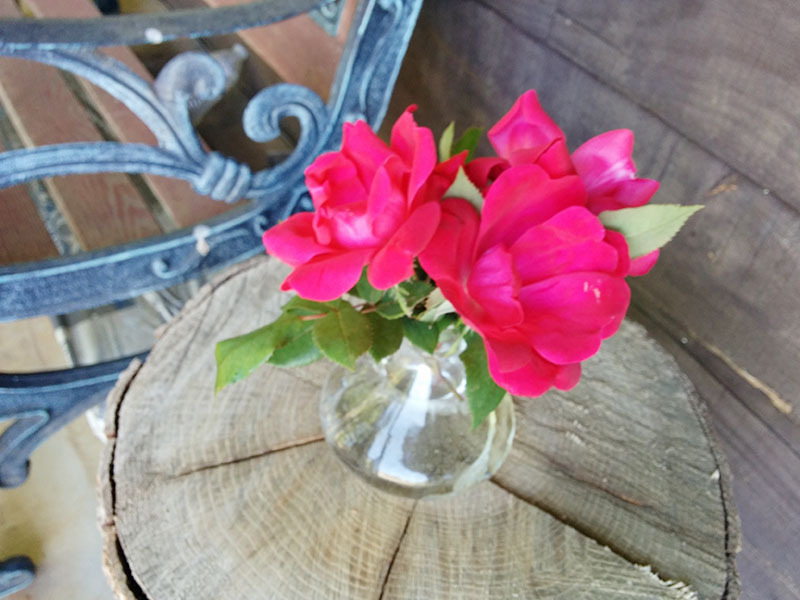 It is so easy to make and its super refreshing to spritz on hot summer days. 1. 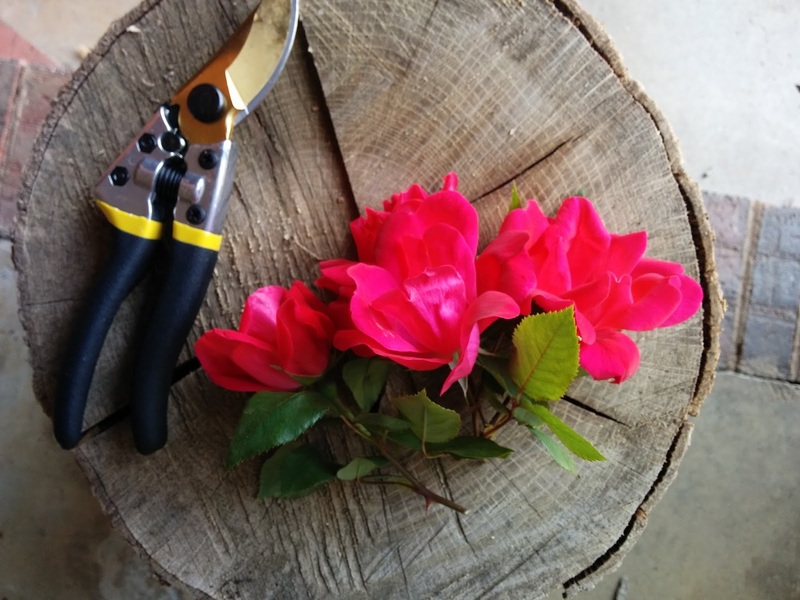 You will want to cut some fresh roses from your garden( or buy organic roses - not treated with nasty chemicals). 3. 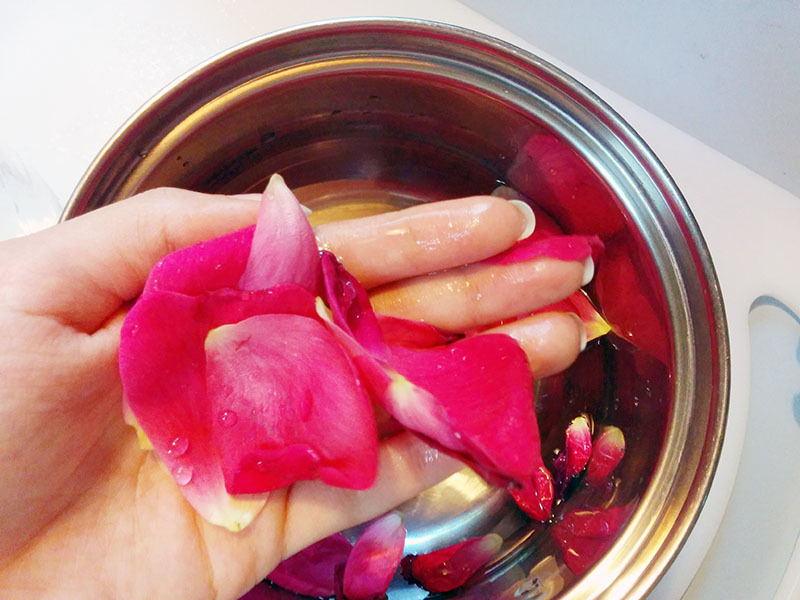 Wash the petals gently to rinse of any tiny bugs. 4. 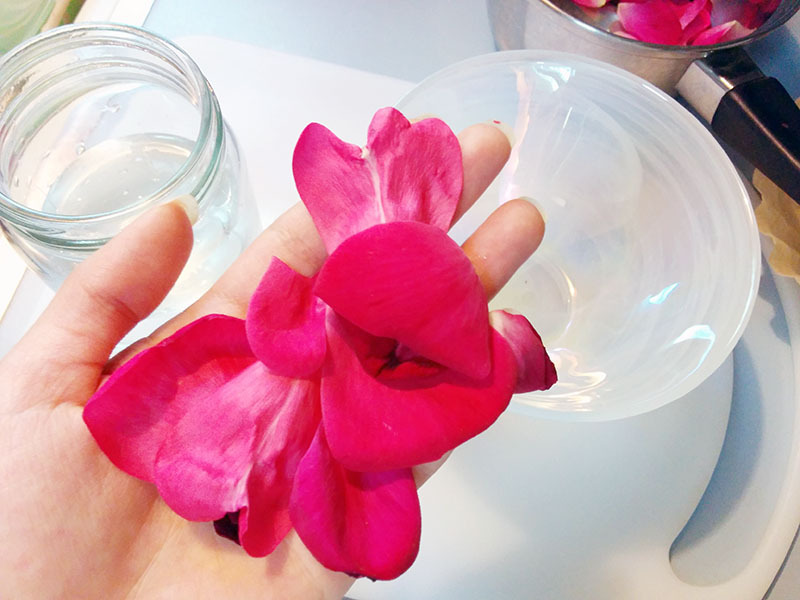 Place petals in small pot and fill with filtered or distilled water, just enough to barely cover the petals. 5. Place on stove, cover, and turn heat on to low. 6. 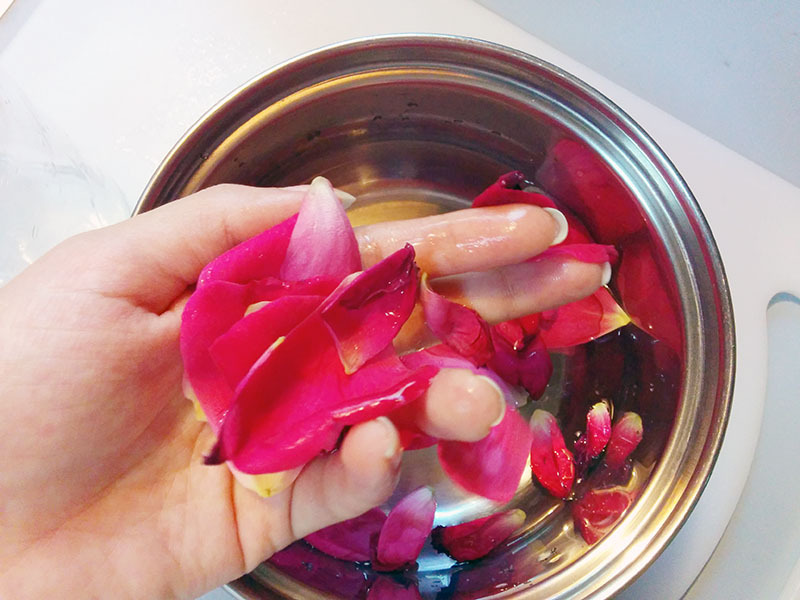 Once the petals have lost most of their color, remove the pot from the heat and let it cool. 7. 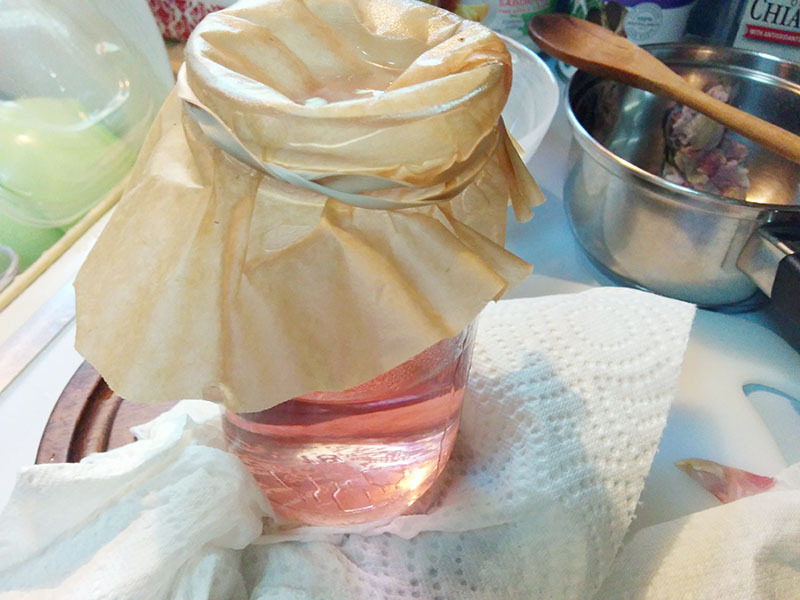 Take a clean jar and wrap a coffee filter around it. 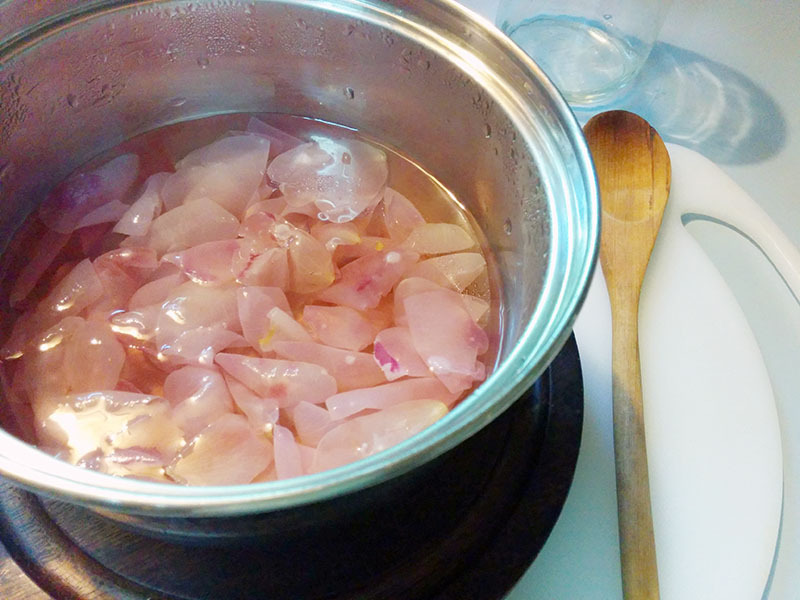 Then pour the cooled rosewater through the filter. 8. VOILA! 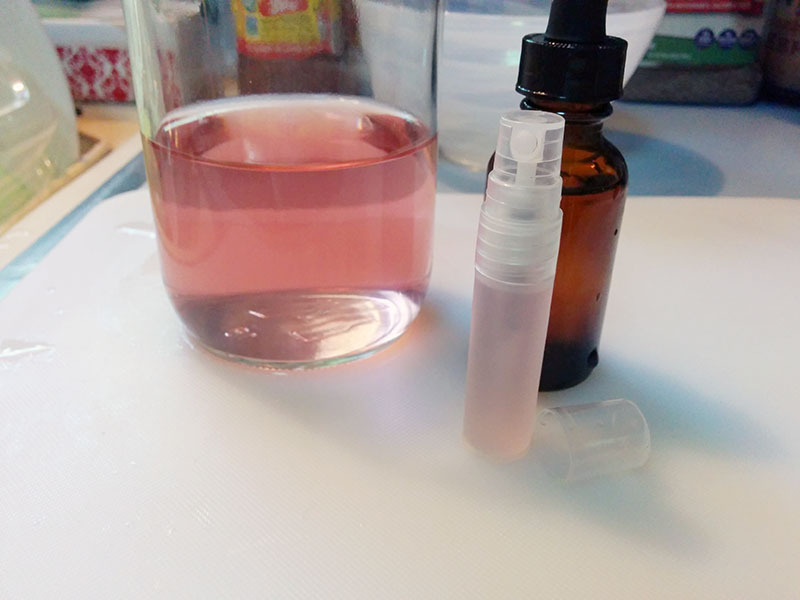 Beautiful pink rosewater! 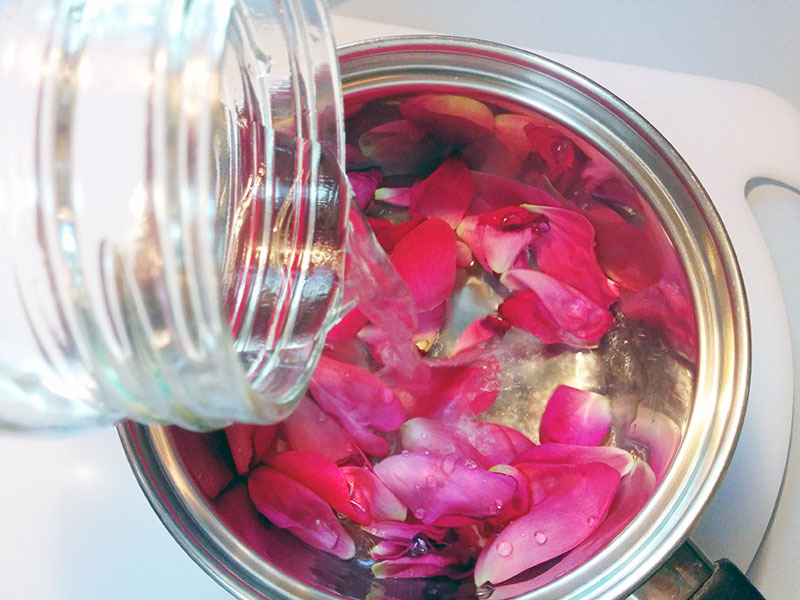 (Or rose-infused water) Now all you have to do is pour it into little glass bottles. 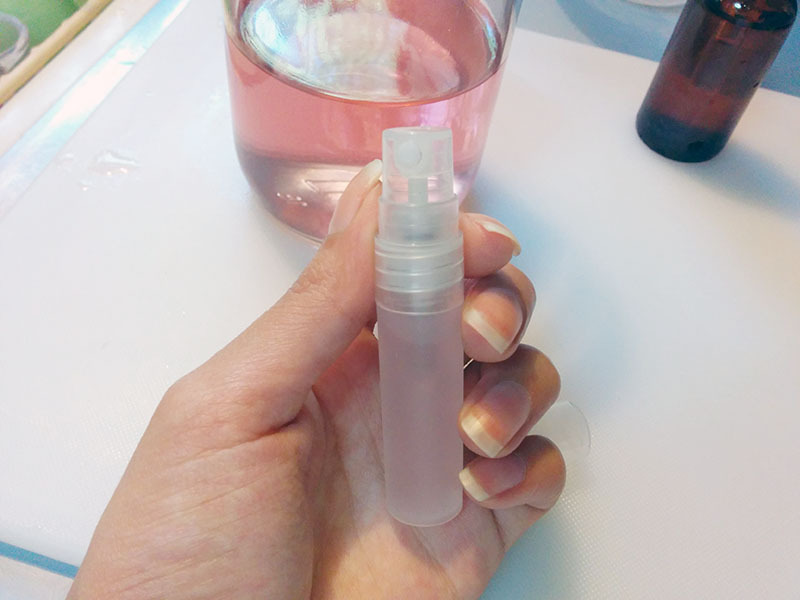 If you have a small spray bottle you can carry it around with you to refresh your face throughout the day! :) This will keep for about one, maybe two, weeks in the fridge. Aw! Thank you Dominika, I don't mind. You're too sweet :) Have a lovely week as well!